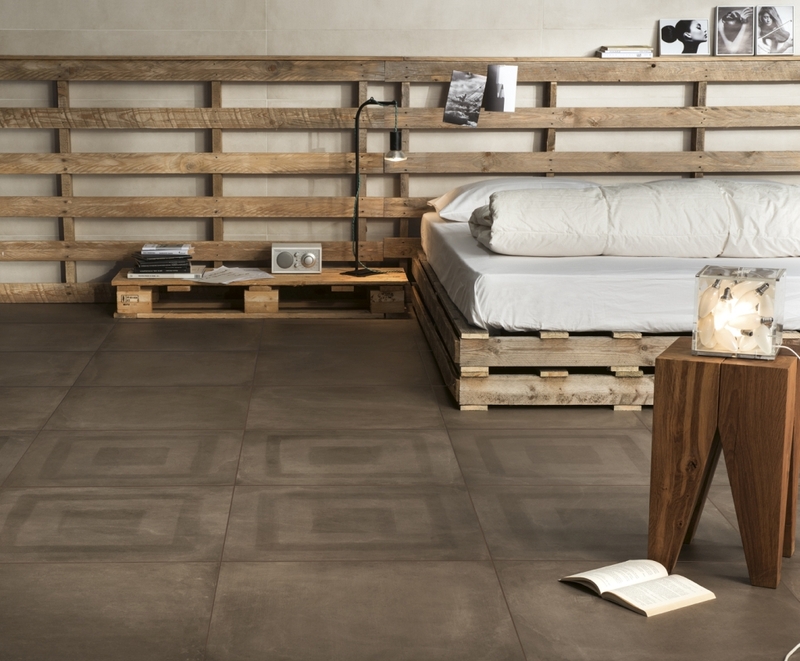 One, the terracotta–cement effect porcelain tile collection combines the delicate and enveloping tones of the earth with the originality and modernity of cement, giving your interiors a sense of warmth, naturalness and elegance that fulfils every furnishing need. 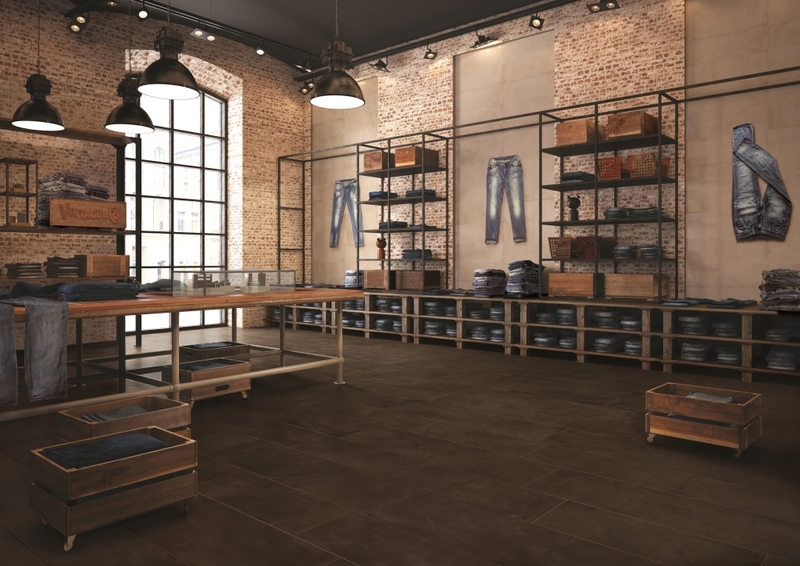 If you love warmth and the vintage look that terracotta suggests, terracotta-cement effect porcelain tiles of the One collection allow you to define, with a traditional and eclectic feel, the floor of your residential or commercial venues, combining the natural tactile feel with architectural modernity of porcelain tiles Made in Italy. 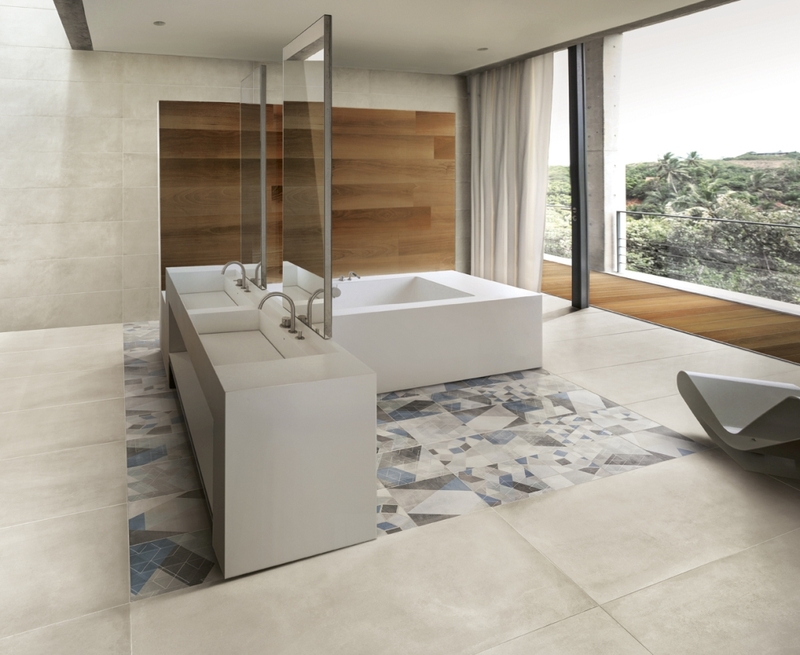 The One collection of terracotta-cement effect porcelain tiles consists of 6 warm hues Mud, Rope, Gesso, Cement, Indigo and Ground, that are rich in variety and natural chromatic passages able to adapt to the unique moments of your everyday life. 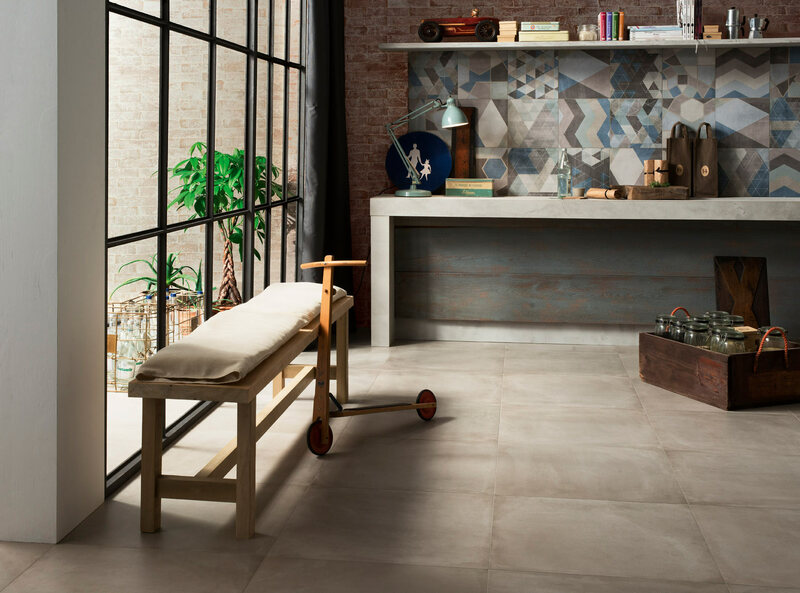 The taste of the tradition of terracotta and the modernity of cement find their perfect meeting place in the One porcelain tile collection. Thanks to the broad range of available formats (60×120, 30×120, 75×75, 60×60, and 30×60), One guarantees creative freedom for every architectural need. 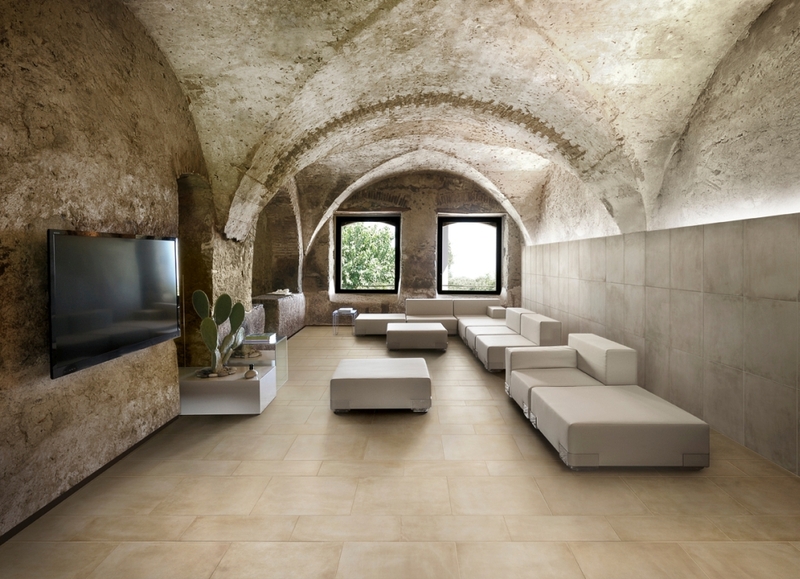 For loft and living areas, your surfaces acquire soft and engulfing tones with a rustic feel; in relaxation areas such as Wellness & SPA or the bathroom, One is a ceramic material that creates an intimate and welcoming ambience; when used in restaurants, offices, workshops and studios, terracotta-cement effect porcelain tiles welcome everyone with a fresh, modern and original design. 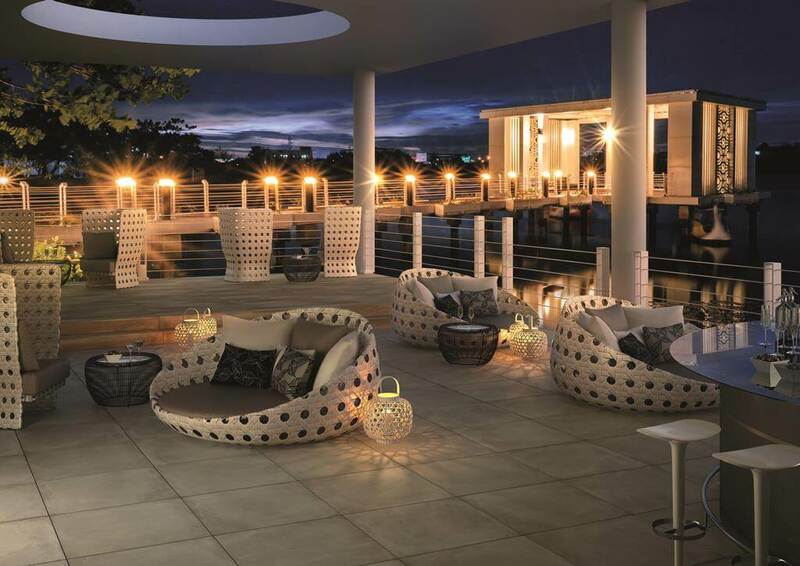 One terracotta-cement effect porcelain tiles are given a finishing touch with the high thickness Aextra20 (20mm pavers) tiles for outdoors, in the colours Rope, Cement and Ground with a non-slip finish, and also includes the Frame decor for swimming pools, gardens and outdoor areas with all the rigor of cement and all the warmth of terracotta, creating ambiences that are architecturally clean and welcoming.